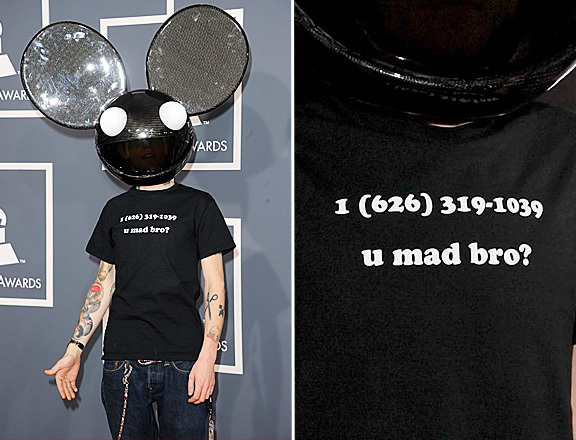 The other day I was scrolling through Grammy pictures and I came across this guy. Killian (looking over my shoulder): Wow. Electronica at the Grammys? Me: I’m assuming I just lost major points for that pronunciation faux pas. Killian: Almost all of them. Me: Sigh… For the record, numbers don’t belong in names. Just sayin’. Killian: Whatever. You still fail. Ha! I lost all of my mom cool when I pronounced Katy Perry's name as “Catty Perry.” I had never heard it pronounced and was just going by the spelling. The cool thing about having a kid with Aspergers is, when I lose mom points they're for stuff that would actually make me more uncool to know. See also: anything having to do with Minecraft. Don't feel bad, I didn't know who half the “artists” were on that show. My question is, when did a DJ get to be an artist???? I thought it was 'dead mouse 5' also. Guess we're getting old?